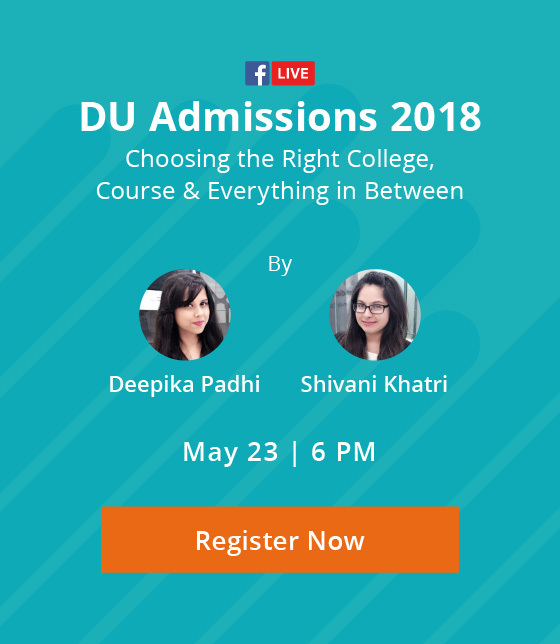 This interview is a part of our Experiential Interview series, where we try to gain an insider’s perspective into different careers by engaging in dialogues with professionals successfully working in the respective fields. This article gives you a closer look at an Architecture professional and his journey to cracking IIT. Aashish Agrawal hails from Indian School of Business, Hyderabad and Indian Institute of Technology, Kharagpur. Having completed his Bachelor’s in Architecture from one of the top institutions in the country, Aashish has extensively worked with Jones Lang LaSalle, Lodha Group, and Hiranandani communities in a variety of roles. He is currently the General Manager at the CEO’s Office at Hiranandani communities. 1. How did you decide on the PCM Stream after your class 12th? Aashish Agrawal: Academically, I was an average student. Like many other students, I was of the opinion that science had better career prospects than the commerce or the humanities fields. Biology did not interest me at all; commerce, according to me, was for students who find it difficult to deal with non-medical and career options in humanities weren’t very clear to me. Hence, non-medical was an obvious choice. Unlike today, counselling was not something that everyone had heard of. I am happy in the real estate sector and have found my true career calling; yet I just wish I had gotten the right career guidance. Would have probably saved me a few years. 2. How did IIT enter into the picture, then? Aashish Agrawal: As everyone in my batch was preparing for engineering entrances, especially for the IIT entrance, I started preparing for the same but did not take my coaching seriously. Back then, I wasn’t one of those students who would be consistent in the studies, who would practice the subjects regularly and who would complete the homework or assignments on time. 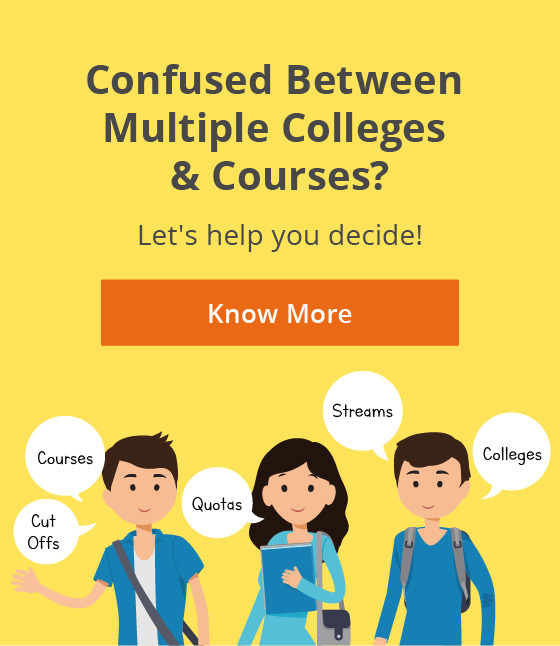 It was after I had completed my schooling that I realized that I didn’t want to settle for any tier-2 or tier-3 engineering college. It was a very difficult time for me, watching my friends making it to their dream colleges, and there I was, completely clueless about my career. I decided that my academic performance in class 12th shouldn’t restrict me from dreaming big and achieving the same. 3. What were your next steps after the decision to aim for the IITs? Aashish Agrawal: After my realization, I had two options- I could have lamented upon the situation and not worked towards my goal, or I could have been consistent with my studies to be an IITian. I chose the latter one. I decided to drop the year and came to Delhi for my coaching. I kept studying hard with only one goal in my mind- to crack IIT. 4. So were you successful in achieving your goal or did you face any obstacles? Aashish Agrawal: Post one year of consistent hard work, I gave my entrance exam. Unlike today, the IIT entrance exam back then had a different paper pattern. It was divided into two sections- Objective and Subjective. While I was good with the objective part of it, I couldn’t fare well with the subjective part. I scored a 310, which would have helped me land a good NIT branch, but NIT was never my aim. It was IIT. I found myself in a similar situation I was one year ago- the only difference was that it was worse this time. 5. That must have been a really big blow. How did you bounce back from this setback to finally achieve your IIT dream? Aashish Agrawal: I decided to drop a year again, and went back to my hometown. I felt depressed. I started doubting my own potential. I felt as if my career had ended even before it started. I sat, noted down my strengths and weaknesses at one place, and figured out that if I had worked on studying the exam pattern well, I could have cracked IIT. I did not join any coaching that year, self-taught myself to leave no stone unturned. I worked on my strengths (Mathematics and Chemistry) better and figured out a way out for my weaknesses (subjective questions). I also solved a lot of last years’ papers. In 2002, I gave the exam again, and this time, I cracked it. 6. How did you then decide to pursue Architecture? Aashish Agrawal: Most of the things that have happened to me have happened incidentally. The only goal when I was preparing for the entrance exam was to crack IIT- I never focused on what career path I would choose following the same. 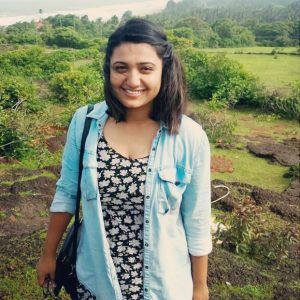 Cracking IIT was like a challenge to me by myself, and after I had proven myself, I realized that I had to make another decision- deciding on a branch for myself. After the IIT results were declared, I went for counselling and applied to get into the Architectural branch at IIT-Kharagpur. Note: Unlike today, there wasn’t any separate exam for architecture. Only the shortlisted candidates from the IIT entrance were allowed to opt for architecture, who had to give another exam to get into the architectural branch for IIT campuses. 7. What was your B. Arch. course at IIT Kharagpur like? Aashish Agrawal: It was fun. I really enjoyed studying architecture. Initially, I was a little skeptical about how my college life would be like, and if I’d enjoy the subjects, but it went perfect for me. B. Arch is, according to me, one of the best courses in IIT. The subjects are very practical and the learning one gets in the domain is exceptional. I managed to complete my graduation smoothly, scored good marks and got placed in JLL (Jones Lang LaSalle) as a Project Manager. 8. 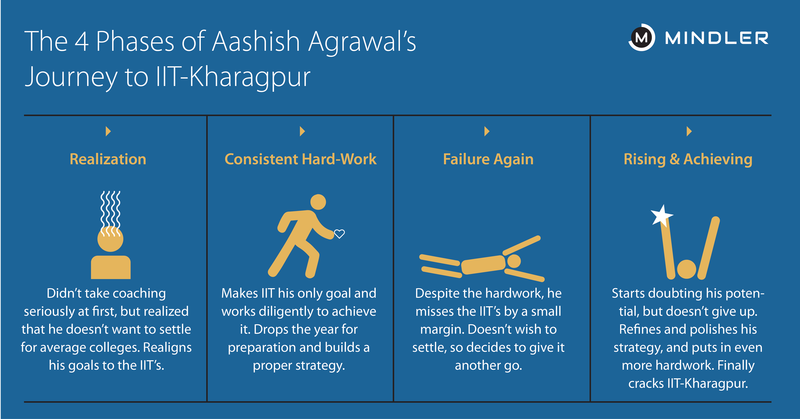 What was your professional journey after graduating from IIT-Kharagpur? Aashish Agrawal: I worked as a Project Manager with JLL for 3 years, got promoted to be the Executive Assistant to CEO. I worked there for 2 more years and went for higher studies. I did my MBA from ISB, and decided to hold on to the architectural sector and bend it a bit towards the Real Estate sector. I got placed as an Associate General Manager at The Lodha Group. Having worked there for 3 years towards the strategic consulting part and analyzing the projects for investment with the Group, I got promoted to be the Deputy General Manager in the same company. Currently, I am working as the General Manager in the Hiranandani Communities. 9. From being an average student to the General Manager in the CEO office at Hiranandani, you have come far. What advice would you give to students with dreams for cracking IIT? Be consistent with the hard work, juggling between the entrance preparation and the boards is difficult but don’t lose out on your focus for the two years (11th and 12th). Dropping a year to prepare for the entrance shouldn’t be an option. Try to clear it in the first attempt. Many students do it, even the ones who aren’t very bright, the only difference is that they don’t lose out on their hard work. Don’t think of being an IITian because of any pressure, there are tons of other career options available. Only when you discover that Engineering is the best-fit career match for you, should you go ahead with your preparation. Most importantly, have faith in yourself- don’t feel let down looking at someone else’s preparation- make your own everyday goals and accomplish them. Did you find any inspiration in Aashish’s story to pursue your IIT dream too? Share with us in the comments!